The success we have enjoyed is reflected in part through our testimonials. We have been fortunate enough to have worked on numerous and varied genealogy research projects worldwide that have provided us with the experience necessary to be expert professional genealogists. In addition to our clients being extremely satisfied with our thorough genealogical research services, their expectations are exceeded with the heirloom quality genealogy pedigree charts we provide that graphically depict the family trees and family histories. When I hired Melick Genealogists I had hit two brick walls. 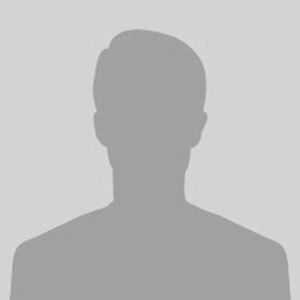 I was trying to find an ancestor’s parents and attempting to determine the validity of some family lore. They created a thorough research analysis regarding the family lore and were also able to extend the family lineage back a number of generations. The written report I received exceeded all of my expectations and was professional, footnoted with sources, and included photographs, graphics and charts to explain the findings. They were just as excited to uncover my family history as I was and the value I received far outweighed the budget. 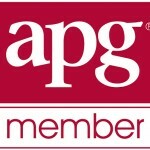 I highly recommend Melick Genealogists and I expect to work with them again in the future. I hired Melick Genealogists to determine the original spelling of my great grandfather’s last name, research my mother’s family history and provide a genealogy chart. They researched and provided an extensive documented timeline that showed the spelling evolution over a 75 year period. They extended my mother’s line numerous generations and provided biographies for many of our family members. 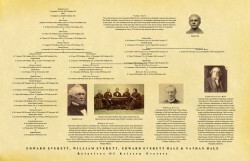 They also provided a terrific genealogy chart to commemorate our family history. 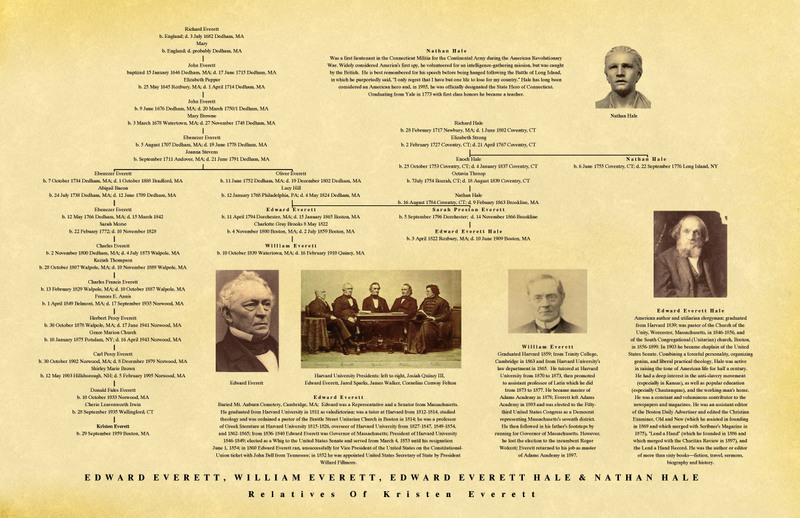 Their use of historical family photos, graphics, biographies and the family genealogy provided us with an heirloom quality chart that will be cherished by the entire family and passed down through the generations. I wholeheartedly recommend Melick Genealogists for their genealogy research and custom charts. I hope to work with them again in the future. We hired Melick Genealogists to create a genealogy chart as a gift to my parents for their 50th wedding anniversary, as well as to research our family history. They did a terrific job researching and adding many ancestors and relatives to our family tree along with biographies which helped bring our ancestry to life. The chart they created, which depicts the family’s path of immigration and migration and also utilizes many of our old family photos and bios, is treasured by my parents. 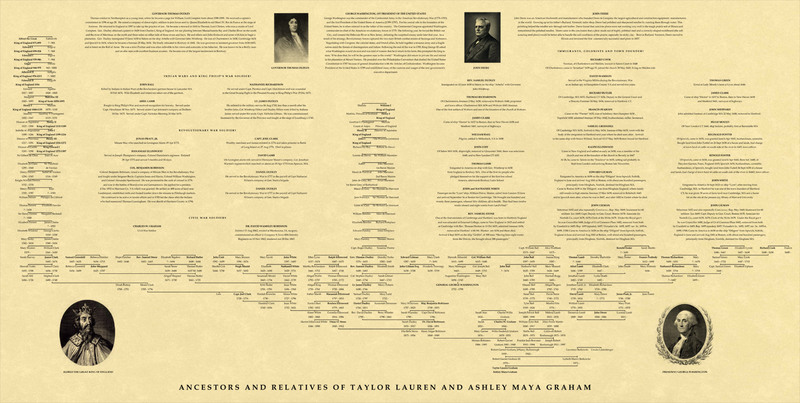 We are so thrilled to have a chart that commemorates our family genealogy! I contacted Melick Genealogists to have them do some genealogical research in addition to the genealogy research I had already completed. I then asked them to create some genealogy pedigree charts for some family gifts. The family tree charts are exactly what I was looking for and I was very pleased with the additional family history information that they were able to discover and include in the charts. I’m very pleased and highly recommend the genealogical research services provided by Melick Genealogists. They found information with my family history and presented the material and information professionally as well as maintained good communication detailing the progress. I’m very happy with the service and information received! With very little information from us, Melick Genealogists was able to locate my grandmother’s birth place, hometown, family cemetery, and the church she attended. Most amazing of all was finding information on her eleven siblings! My mother was thrilled beyond words. We were able to take her over to Ireland to show her the hometown of her mother. It was the trip of her life. Melick Genealogists was able to trace my family’s history back to when my French Canadian and English ancestors immigrated to the United States. They were able to provide me with over a hundred ancestors going back as far as seven generations along with an aesthetically pleasing fan chart to commemorate my ancestry. I am so glad we decided to pursue discovering our genealogy. When we hired Melick Genealogists, we were simply trying to confirm some distant ancestors. They not only provided documented confirmation but also provided us with some exciting discoveries. We learned of family relations that we never imagined and one famous distant relative. We also received a pedigree chart that beautifully shows all of the family connections. We always wondered about our family history and thanks to Melick Genealogists we now know our lineage. We had believed our family had emigrated from England, however after leaving England our family first lived in Sicily prior to arriving in America. I can only imagine the expertise that was required to track that path! Wanting to know more about my family tree, I engaged the services of Suzanne Stewart of Melick Professional Genealogists, with the result that I now have a complete picture of my forebears. It is a story that spans two continents over the course of a century and a half. What impressed me most in working with Ms. Stewart was her ingenuity in pursuing the leads I gave her. Indeed, so satisfied were we with her work that my husband commissioned her to work up the history of his own family tree. We always thought our ancestors emigrated directly from Scotland but we discovered they first settled in Ontario, Canada for two generations before continuing to America. Plus, Melick Genealogists discovered an extended family that our ancestors never knew about. I always wondered how our family genealogy extended beyond the information that had passed down through our immediate family. Melick Genealogists discovered the link to our ancestors going back to the early 16th century. They exceeded my expectations. I can’t thank you enough for all the work you put into my Family History. It meant the world to me to see it all laid out. You did a fantastic job. I couldn’t of been happier with the outcome. I’ll definitely be contacting you again for other projects. I greatly appreciate the thought and thoroughness you put into writing my genealogy report. I now have a much greater understanding of my family’s history! I especially enjoyed the graphics and charts in the report which enhanced my understanding of what you discovered. Thank you for all of your efforts. Thanks so much for all of your work on the chart. Our Dad is going to love this. I wanted to take a few minutes to let you know we got the chart last week. It came out just beautiful – absolutely perfect!!! Lou called us yesterday morning saying he ‘loved it’ and asking all sorts of questions about it. This is a man who doesn’t react that way to very many things. You truly made this holiday absolutely wonderful for us and I can’t thank you enough!!!! What a huge success the work you did on Chris’ family tree was!!! His grandfather was blow away!!! Great job!!! My Dad was thrilled and this gift to him was priceless. Please feel free to use me as a referral at any time too. I was wanting to tell you my grandfather absolutely loved the tree! I’ve never seen him so excited before. Also my grandmother is so proud! I received the report, thank you so much for all of your work. As I continue working on this project, I’m sure I will seek your assistance again. Thank you again! Chart was received and looks great. Thanks again for creating an excellent gift. My charts came, they were a big hit with the family and they all made it before Christmas. Thank you again and hope you had a nice holiday. My Dad loves the chart! He LOVES the chart!!!!! He has been standing there reading it for an hour – Thank you! He said it is the best gift he’s ever been given! The family was so excited to see the new information you provided for our ancestors. Thank you very much! Thank you for all of your help. I received a phone call from the missing heir last week. Thank you again. Thank you so very much for everything! As usual, you have delivered nothing but professional service and products! I cannot wait to see John’s reaction to the chart! I would not hesitate to recommend you to others. You do an amazing things for people, what a talent and a gift. Thank you for the wonderful work and customer service.